Nobody wants to give up their coffee. But is that daily cup really good for you? Nobody wants to ruin their health, either. Good news. 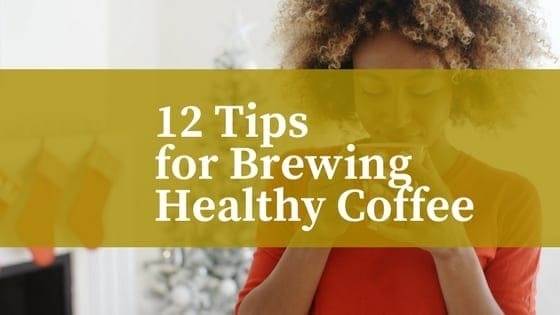 Not only does coffee have several health benefits (check our article 12 Health Benefits of Coffee), but there are tips and tricks for brewing a healthier cup at home. Usually, people select their beans based on flavor. But could one roast actually be healthier than another? New studies indicate that lighter roasts tend to retain more antioxidants and anti-inflammatory benefits. Why? Because use no pesticides or synthetic fertilizers on their crops.Not everyone is convinced that use are harmful to you. So, if you're going healthy with your coffee, you might want to consider going with a lighter roast. Many people also choose organic coffee. Common sense tells us that the process of brewing coffee automatically purifies the water used to make it, right? Contact with boiling water actually burns coffee beans, producing a bitter, nasty taste. So, unless you're burning your beans, you are not getting the water hot enough to be safe simply through the process of brewing the coffee. If you are uncertain about the safety of your tap water, use filtered water for brewing coffee. It may gift your coffee with a better flavor, as well. Another benefit of using distilled water is that it will produce less mineral deposit in your machine, making it easier to effectively clean afterward. Oftentimes, it's not the coffee we drink that is bad for our health. It's what we put in it. You can go for black coffee or you can try healthier creamers. Some commercial creamers are better for your health than others. You can check the ingredient labels for yourself to discover which brands contain the lowest levels of fat, sugar, and calories in order to make the healthiest choices. If you are not looking for additional flavors or sweeteners in a creamer, plain milk is a great choice. You can use actual cream, which really is healthy for you when used in small amounts. Or you can pour in half-and-half, whole milk, or lesser varieties. If you prefer to avoid dairy-based milk, try almond, hazelnut, or cashew milk. Each of these nut-based milks will add unique flavors and health benefits of their own to your morning brew. Many other milk substitutes are available. Experiment to find out which ones taste the best to you. A very popular creamer substitute is made from coconut milk. Even coconut cream is a tempting, healthy option. What used to be a healthy cup of coffee turns into another sugar kick when those teaspoons – or tablespoons – of sugar begin slipping in. Many people turn to Stevia as a sugar substitute, since it doesn't add calories and is actually sweeter than sugar. If you happen to be dubious about the safety of Stevia, there are other options to consider. Some people enjoy honey or maple syrup in their coffee, both of which offer significant health benefits. These sweet solutions may alter the taste of the coffee as well, so once again, you will have to experiment for yourself to find out what is right for you. You don't have to purchase many coffee-based drinks before realizing that although these luscious treats are certainly enjoyable, they aren't exactly health drinks. You can add flavors of your own to create healthy, delicious coffees. Cinnamon has several health benefits. It is said to protect the heart, brain, teeth, and skin while fighting inflammation, diabetes, cancer, infections, viruses, and even allergies. Although the taste and health benefits of cinnamon are preferred by many, there are certainly other healthy flavoring options, including nutmeg, cardamom, ginger, vanilla extract, or peppermint oil. Use your imagination! Coconut oil has been claimed to fight Alzheimer's disease, heart disease, kidney infection, arthritis, cancer, gallbladder disease, skin issues, tooth decay, osteoporosis, diabetes, yeast infection and stomach ulcers, all while supporting the liver, the immune system, brain function, energy levels, weight loss, muscle building, and the health of your hair! Now, that's a healthy flavor! Begin by adding a small amount of coconut oil and adjusting to your own tastes. Alternatively, some people stir cocoa powder into their coffee to produce a chocolatey sip of heaven. A recent trend involves adding butter to coffee to create what is being called a "Bulletproof Coffee." Check out here how to do it yourself. If your diet will not support the addition of butter, spoon a bit of molasses into your coffee. Although you don't want to ruin the flavor of your coffee, some people find that they can put in a bit of collagen powder without negatively influencing their enjoyment of their cup of coffee. Not only does collagen famously produce healthier skin and hair, but it also supports the health of your joints, intestines, muscles, liver, heart, and even your teeth. Now, that's one way to make a cup of coffee into a real health drink. Depending on your specific health profile, some methods of brewing may be better for you than others. For example, while a cold brew is low on caffeine, it retains more cholesterol-raising diterpenes than the standard drip brew – while the French press is high on both. Potentially the healthiest cup of coffee may be achieved using instant coffee grounds. However, many people feel that drinking instant coffee requires a complete sacrifice of flavor. Compare the advantages of each brewing method and decide which one best supports your unique physical needs. The brewing method is not the only health-related aspect to consider when purchasing a coffee maker.  Some coffee makers are more likely to host bacteria and even mold that can't be easily cleaned from the machine. Coffee makers do not heat water to the point of boiling. Therefore, internal buildup of undesirable substances must be deliberately and carefully cleaned in order to keep the coffee healthy to drink. Whatever type of coffee maker you own, be sure to read the instruction manual and go the extra mile to keep the machine sparkling clean. Not only will coffee be healthier from a clean machine, but it will taste better, too. Although coffee has several health benefits, it does pose some health concerns. One of these is created by the presence of cafestol in the coffee oils, which is thought to raise cholesterol levels. "Unfiltered coffee" – such as that produced by a French press – retains much more of the natural coffee oils and thus contains more cafestol. Paper filters have been found to effectively reduce the amount of cafestol in coffee, producing a healthier drink for those concerned about their cholesterol levels. Many people enjoy beginning their day with a cup of coffee. However, you should make sure that you aren't trying to substitute coffee for a good, old-fashioned breakfast. Although coffee may cause you to feel more energetic, it doesn't actually supply the calories and vitamins that your body needs to get through the morning. There are other reasons not to drink coffee without eating. Coffee can damage the stomach lining when consumed alone, especially if you are already suffering from ulcers or other digestive problems. Furthermore, all of that caffeine consumption without appropriate nutritional value can have some nasty side effects, such as headaches and jitters. If you have already established a habit of beginning your day with a cup of coffee, you are part of the majority of American coffee drinkers. However, if you are looking for the healthiest time of day to consume that daily cup, the mid-morning or early afternoon may be best. That's because the morning spike of energy provided by your coffee will probably have evaporated a few hours later, leaving you dragging your tail. Drinking coffee in the early afternoon will give you an energy boost when you need it the most. More importantly, even if you don't want to give up your morning coffee routine, most people agree that drinking coffee before bedtime does not support good health. The effects of caffeine last even longer than the feelings of alertness they create. This means that truly deep, restful sleep may be disturbed by that cup of coffee even after you've gone to sleep. A good rule of thumb established by many people is to avoid drinking coffee any time after 2 PM. If this doesn't work for you, at least you might want to consider avoiding coffee four to six hours before going to bed in order to evade disruption of your natural body clock. Particularly because of its high caffeine content, coffee is healthy only when consumed in moderate doses. The general consensus seems to be that one to three or even four daily cups of coffee (in 8 oz. measurements) is safe for most people. However, you should consider your specific health needs when deciding how much coffee is right for you. Pregnant women might want to think especially hard about drinking more than a cup or two a day. If you suffer from diabetes or osteoporosis, even your method of coffee preparation may change to support your health issues, with the limitation of added sugars or the addition of milk products. Make it right for you. Remember that every person has a unique body makeup, which means that how you feel is more important than arbitrary limitations. If you are experiencing caffeine headaches, jitters, insomnia, or an increased heart rate, you might want to cut back on your coffee consumption for a week or two, just to see if coffee could be the culprit. The golden rule however is to contact your doctor, particularly if you have any medical condition. Brewing it up healthy doesn't mean turning your coffee experience into a daily chore. Check out this video on how to make healthy coffee easy and fast. Once you've established a new routine for making coffee that supports your individual health needs, it will become even more satisfying than before. Now you will know that your body loves your coffee as much as you do! Experimenting with new creamers and flavorings can add adventure to days when you feel like trying something new. And there's always another amazing coffee recipe to try.